Abdominal crunches do not flatten your mid-section. Knowing this has probably just freed up 10-minutes of your workout time. PLANK IT OUT for those 10-minutes and strengthen your core while working multiple muscle groups at once! Abdominal crunches activate the well-known rectus abdominis muscle, also known as the six-pack (if its definition is visible through the overlying body fat and skin). You can work this muscle to absolute fatigue but nothing is going to happen to the body fat that is layered on top of it (I like to refer to this as the ‘blanket’). Your body can’t take that ‘blanket’ and transform it into more six-pack muscle, nor does it use this ‘blanket’ as fat for fuel for the exercise. Spot reduction is probably the most famous fitness myth, yet we cling to it with great optimism. For some reason, we hope that if we keep trying to spot reduce, or keep doing those 100-crunches a day, it may eventually work. It won’t, so change your focus. Cut the boring crunches out of your workout and expend your energy elsewhere. FIRST & FOREMOST- DO YOUR CARDIO. Aerobic exercise elevates and maintains your heart-rate in an effective target zone over a period of time (calculate your fat burn zone by first finding your max heart rate *220-your age* then multiple this number by 60%-70% *max HR x .6-.7* The resulting number is what your heart rate should be within to burn body fat). After about 20-30 minutes (every body is different) your body switches from using carbohydrates to fat as fuel, since fat is a better fuel source. Now you are in your fat-burning zone for the rest of your aerobic workout. Burning body fat will allow you to see more muscle mass, and will remove some of the stubborn ‘blanket’. SECONDLY, STRENGTHEN YOUR CORE. The muscles of your core are deeper and more important than just the rectus abdominis. Your core is your foundation of strength. These muscles connect the upper and lower body, and, like a chain, you are only as strong as your weakest link. Core muscles keep your spine and pelvis in proper alignment while you work and play, providing stamina and preventing injury so you can work and play harder. If you’re still attached to the idea of spot reduction, know that core strength can affect the appearance of your waistline. Strong muscles in your core, as well as other key upper and lower body muscles, enable better posture when standing and sitting, giving the illusion of a trimmer tummy. Strengthening your core also ignites your ‘inner corset’ pulling you into a beautiful hourglass figure! As a Personal Trainer, I personally believe that PLANKS ARE HIGHLY UNDERRATED. Any backlash or boredom regarding planks is probably the result of doing them incorrectly. A lot of people think it’s an easy exercise, so they don’t keep their pelvis in a neutral position (it’s either too high or too low). They also don’t keep their shoulders aligned and retracted, allowing the shoulder blades to wing up, and don’t fully engage the transverse abdominus and glutes at the same time. So how do you know if you’re doing them wrong? If you’re feeling the burn in your lower back and arms and not through your core, glutes, and quads. Assume the plank, or “pre push-up” position. Make sure your hands are placed shoulder-width apart and in line with your shoulders. Make sure your feet are hip-width apart. Make sure you are contracting your core, your glutes, and your quads. The FUN thing about planks is that there are so many VARIATIONS and so many different positions you can do to isolate different muscles! But I think that deserves it’s own post! PLANK IT OUT, you won’t be disappointed with the results… I promise! The picture on the left was taken before I began carb-cycling and HIIT training. I was still lifting weights and doing cardio, but my diet wasn’t on track and I wasn’t getting the most out of my training sessions. The picture on the right was taken after about 6 weeks of carb-cycling and HIIT training. Believe it or not, I was spending LESS time in the gym! 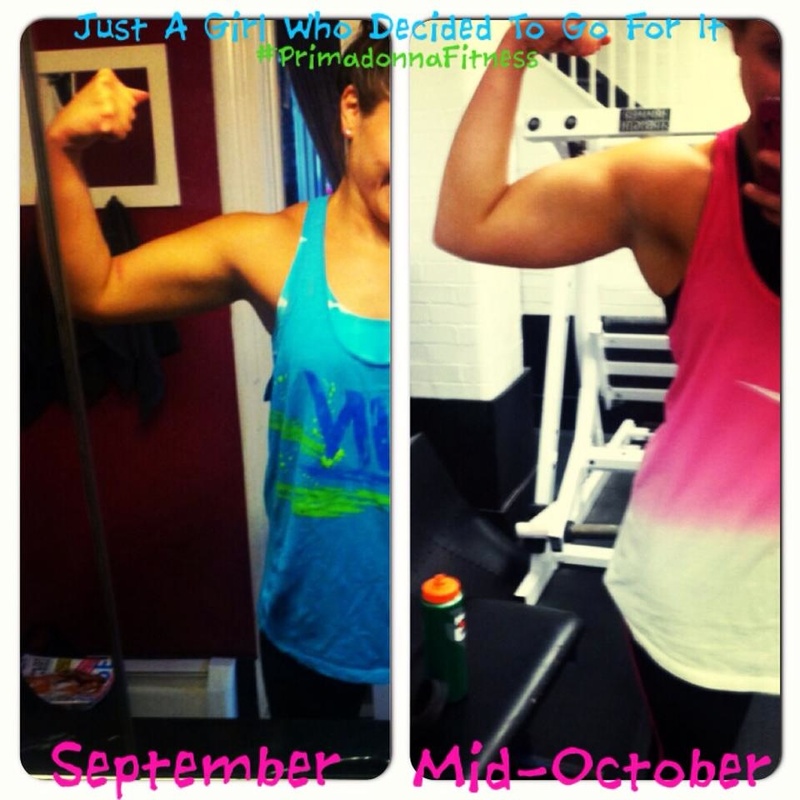 This picture is solid proof that diet and training style can have mega effects on your progress. (I was hesitant about sharing this picture with anyone, yet alone, sharing it on the internet for the world to see. I’m not one to boast and brag about myself, and truthfully, I’ve been self-conscious my whole life. But this picture made me proud. She’s Rosie the Riveter. You know, the name of the popular song that celebrated the strong woman that supported the war effort by filling tens of thousands of jobs that were left behind by men to fight overseas? Yeah. She’s real. Elinor Otto, 93, was one of the original Rosie the Riveter girls. Otto wakes up at 4-o-clock in the morning and drives to the Boeing plant in Long Beach, California. She’s not there to deliver cookies, she’s there to work! Otto’s job consists of inserting rivets into the wing sections of C-17 cargo planes. Talk about strength. Her job paid a mere 65 cents an hour. That’s 39 dollars less than what she makes now. But she enjoyed the work, the routine, the camaraderie, and the visits to the dance hall on the weekends to kick back with her friends from the plant. 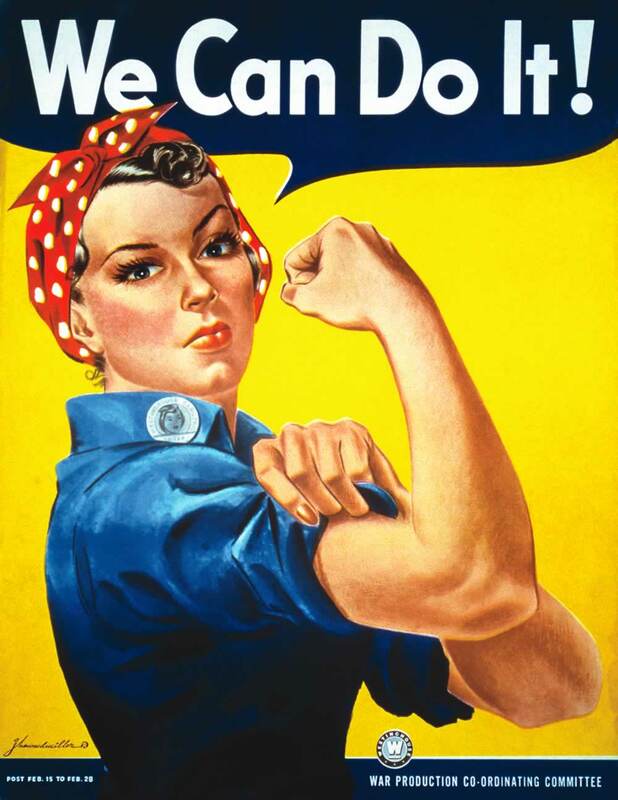 With the end of the war, so came the end of the Rosie the Riveters. “Within days we were gone,” states Otto. Otto tried other fields of work, but office jobs never appealed to her. She worked as a carhop for a short while, but left when they told her she had to perform the job on roller skates. Luckily, SoCal’s aircraft industry came out of the war booming. Otto was an “ace” with the rivet gun, which earned her a spot on the line doing the job she loved- riveting. She buried her mother, went through a couple marriages, had a son, had a grandson, but happily took her spot on the assembly line month after month, year after year, decade after decade. And, oh boy, what she has accomplished. The list is long. Her most important accomplishment, however, is serving as an inspiration. “When I think to myself, ‘Why am I slowing up? Why am I home?’ I think that, ‘Elinor is at work and Elinor is 93! '” Her boss, Don Pitcher, explained. But she isn’t just an inspiration to her boss, her co-workers adore her, and Long Beach honored her with a Rosie the Riveter Park this month. More importantly, and the reason why I am sharing this story with you on my blog, Elinor Otto serves as a strong inspiration to all women out there. The Woman’s Empowerment Movement has come a long way, and she’s been there through it. She plowed through traditional gender roles and followed her passion, despite what others had to say. How long will she work? Her answer was simple– As long as she can. Most likely, until sometime next year when her Boeing plant finishes off their last and final contract for those C-17 cargo planes. Now that’s leaving with a bang. A bang that only a strong woman could deliver.